The Around the World Quilting bee is drawing to a close. 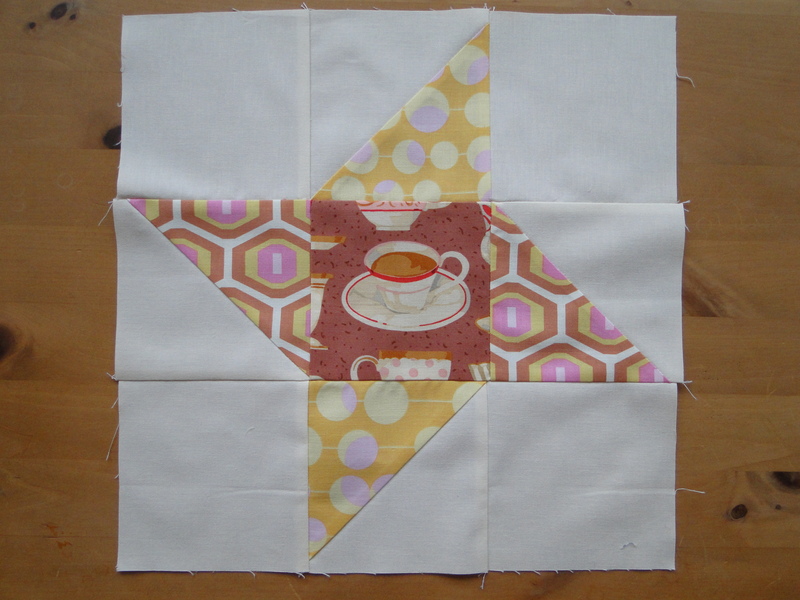 This is the last block that I needed to make, so Tanya’s quilt is winging its way to Australia ready for her to make up. 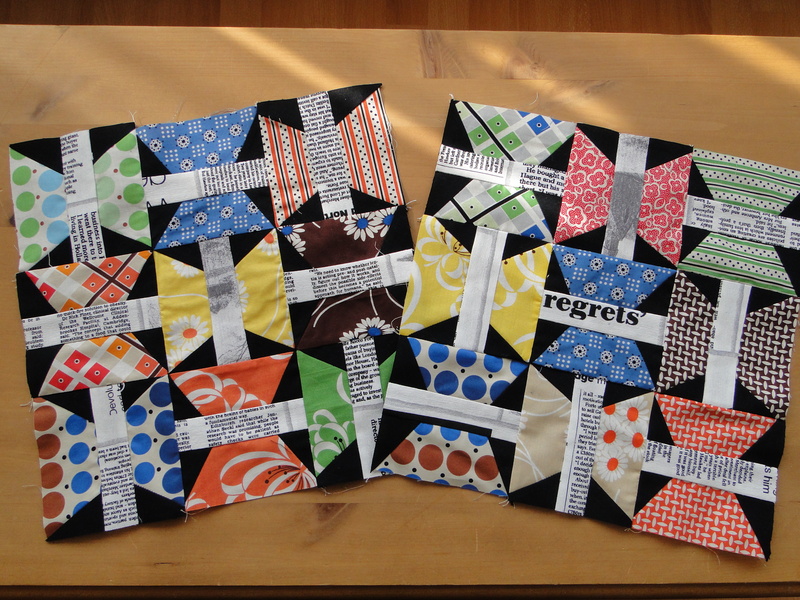 I think my quilt still has a way to go, so I will just have to wait to see what all my blocks look like together. Below is the blocks for Tacha as part of Bee Europa. I liked these blocks, they were time consuming because there was a lot of ironing, but apart from that I think they look quite effective. 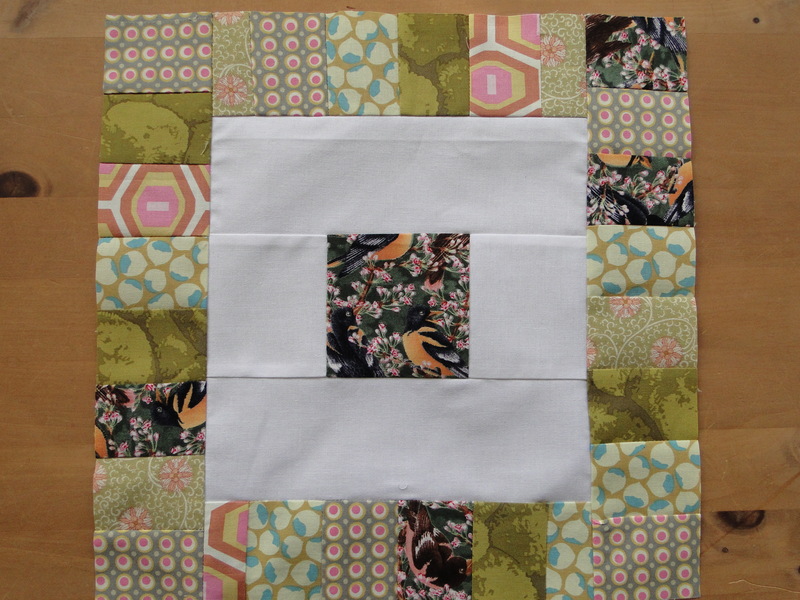 Finally Aprils blocks for Bee Europa for Muriel. 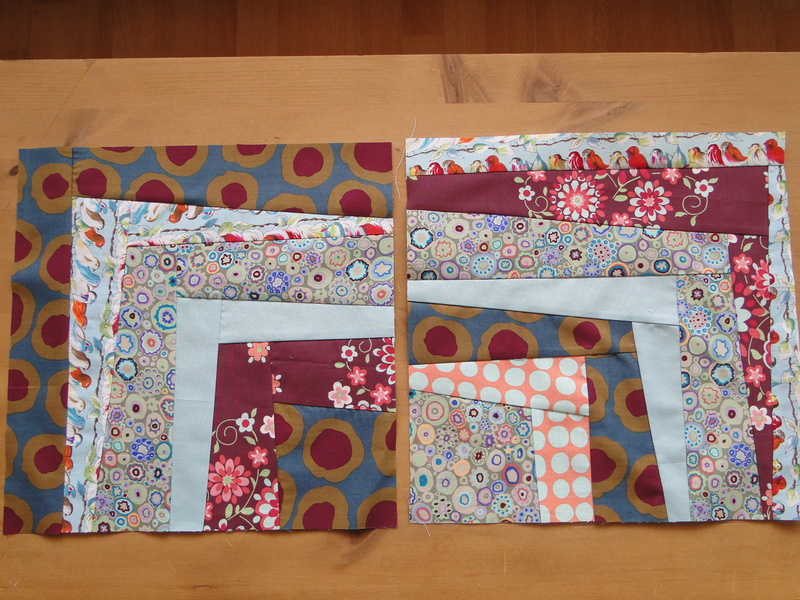 I loved these blocks from the simplicity of the wonky log cabin block pattern to all the gorgeous fabrics. Brilliant. I got a little bit behind with the Around the World quilting Bee recently, but over this past week i have cracked on and thankfully I am all caught up now. Here they all are all stacked up nicely! I have had this gorgeous Darla fabric for a while and decided I would make some cushions from it. Well cushionS is not exactly where we are at, but cushioN, singular, is. I followed the pattern here and although I hate gathering , I think it looks nice on my garden bench. It would look nicer with some company, but I have not found the time to make another one. Maybe next week. I also had chance to make another couple of blocks for the Around the World Quilting Bee, I hope the ladies they belong to like them. 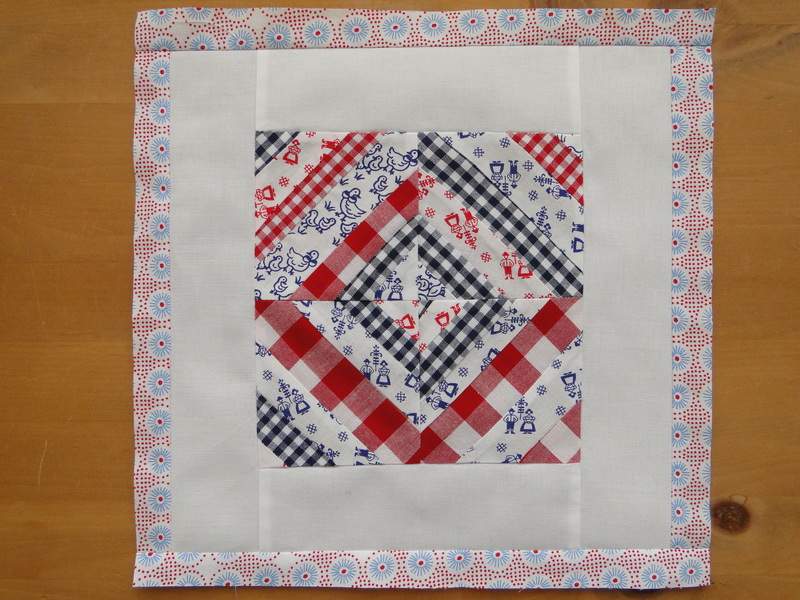 I completed another of my Around the World Quilting bee blocks this week. The theme on this set appeared to be butterflies, so I did a little applique and was quite pleased with the outcome. I only had one mishap on this one, when I ran the rotary cutter through the corner, so a little hasty patching had to be administered. Oops! 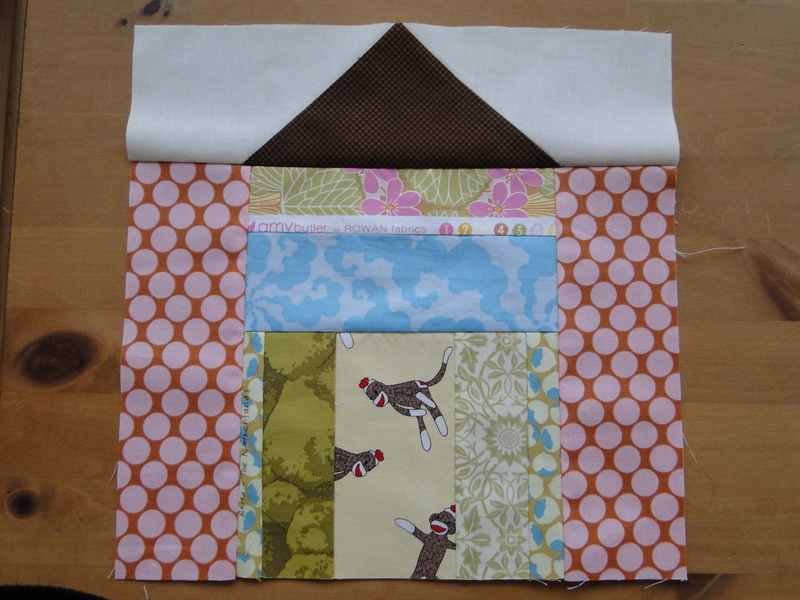 Woohoo look at my quilt block! 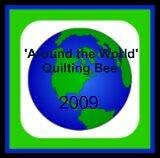 I have to say I am very proud, very proud indeed of my efforts for the next round in the Around the World Quilting bee. After the last attempt which was a little wonky, despite your kind words saying that you thought it was meant to be wonky, I wanted to have another go at triangles. Good hey? OK, you don’t have to answer, but you can tell I am impressed with myself. Now I just need to find time, in between making 4 aprons for the class teachers, making items to stock the shop and coping with all the crazy end of term things, to make the next block. You may remember that I am part of this quilting bee. This was block number 5 on someone’s quilt. I haven’t done triangles before and realise now that I really need more practice to get them lined up right because the centre square is a little off. I think it gives the block ‘character’. I hope the recipient doesn’t mind! In other news I have finally added more items to the shop. Please go check it out! 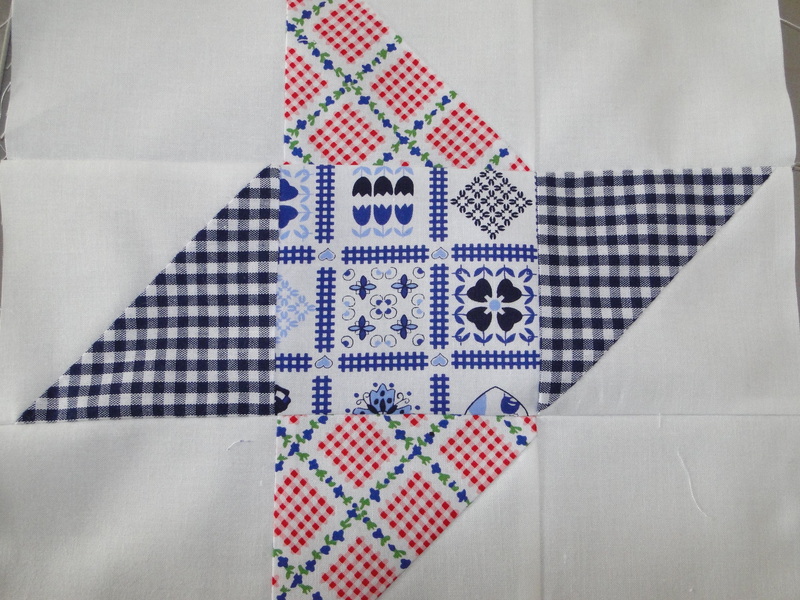 I am part of a fabulous quilting bee, the brainchild of the clever and oh so organised SummerSadie. If you click on the button above you can see what the other girls have made. This is my first big swap and I am super excited about having a go at something different.